C7 Chevrolet Corvette Stingray Massive Burnout Compilation! 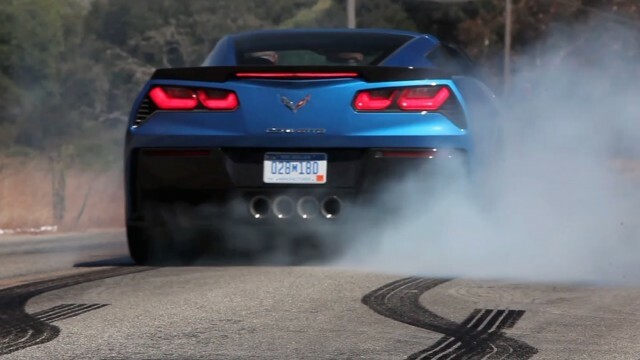 This is the new C7 Chevrolet Corvette Stingray compilation of burnouts that were performed during the actual test drive. This vehicle is currently in pre-production form, but the new Stingray had no problem lighting up its rear tires. However, the cost of tires is irrelevant in this test drive! The Vette Stingray is an amazing car, so once production starts and the cars reaches customer hands this video will not be that interesting. You will be amazed by this burnout! Even if you are a Ford guy, you will love it! Anyway, nothing screams more AMERICA than this Snake Mustang Burnout!